Two features dictate the hotel I choose for a city family vacation—location and space. I prefer hotels in the heart of the city because I love the freedom of being able to walk almost everywhere. It’s also virtually impossible for my family of four to stay in the average hotel room without squabbling and tripping over each other. My 9-year-old daughter and I recently had the opportunity to stay at the Embassy Suites Chicago – Downtown and it fulfilled both of my criteria with its spacious suites situated in the hustle and bustle of Chicago’s downtown. Those two things plus a whole lot more added up to one amazing stay. 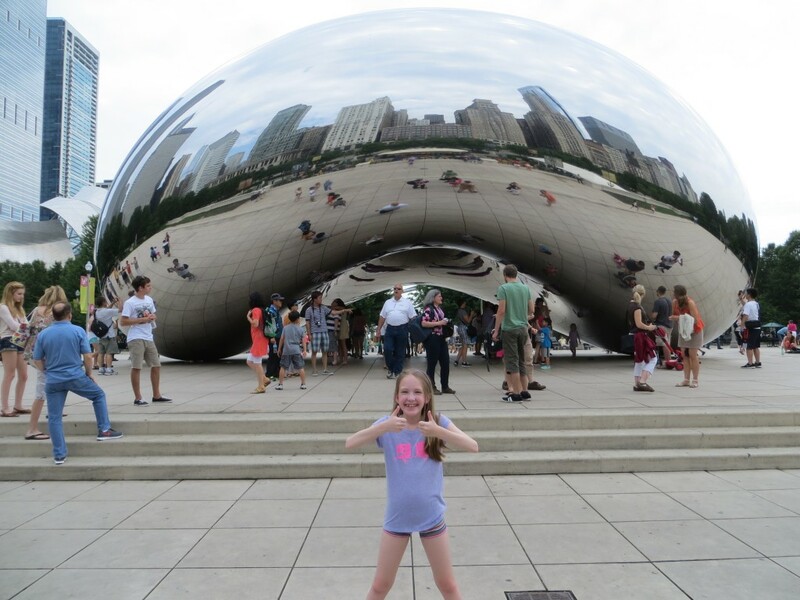 Located on State Street (at Ohio), Embassy Suites Chicago is just a short walk from Michigan Avenue and all of the enticing shops of the Magnificent Mile including my daughter’s personal favorite, American Girl Place. From the hotel, the two of us easily walked to Millennium Park, the Art Institute of Chicago and Navy Pier. We didn’t have time to visit the Field Museum, Shedd Aquarium or Adler Planetarium this trip but we have walked to those attractions from this neighborhood during past Chicago visits. They are a bit farther away but the distance of 2.5 to 3 miles from the hotel to this group of museums on Lake Shore Drive is manageable on a nice day with kids that are good walkers. If the weather isn’t cooperating then you will want to hop in a cab. The hotel’s suites are well-equipped with everything families need. With a separate bedroom and parlor, there is adequate space for everyone to spread out and get comfortable. Having that separate room with a door that closes is ideal for families with small kids because it spares parents from sitting in the dark for fear of disturbing sleeping children. 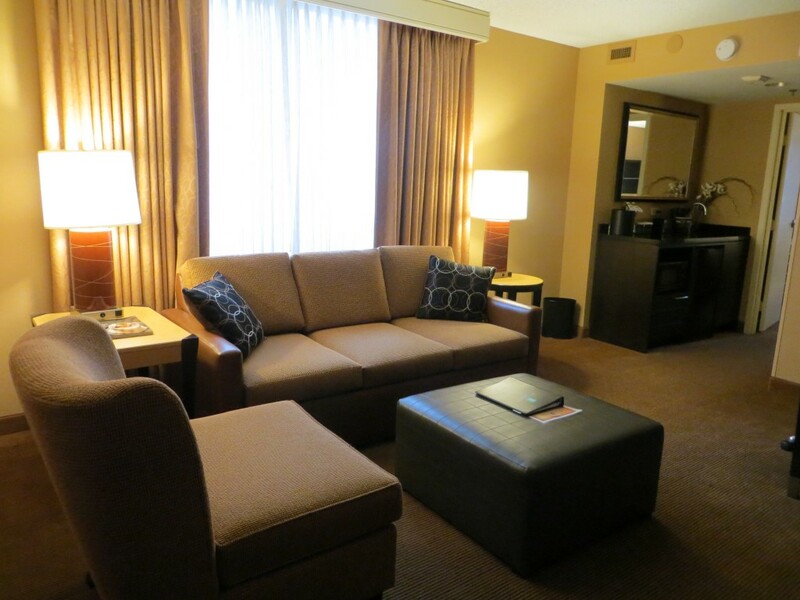 Families can choose either a suite with two double beds or one king at Embassy Suites Chicago. Both varieties come equipped with a pull-out queen sofa bed in the living area. The doubles also have an extra sink in the bedroom, which makes it a breeze to get ready quickly in the morning. Each suite is furnished with a dining table and chairs in the living room. Helpful extras include a wet bar area with a sink, microwave, refrigerator, and coffee maker. This makes it easy for families to store snacks, bring in take-out for dinner, order room service, or re-heat leftovers. And nobody has to sit on the bed to eat dinner. Anyone with two kids who can never agree about what to watch on television will appreciate the two TV sets in the suites, which avert sibling skirmishes. As much as I love a hotel that welcomes kids, I’m thrilled when I find one that doesn’t sacrifice style in the name of family-friendliness. This hotel offers a modern design aesthetic that balances between chic and casual. Everything is pleasing to the eye yet you never feel that your family is out-of-place. The lobby’s focal point waterfall and the real plants scattered throughout Embassy Suite Chicago’s two-leveled public areas give an outdoorsy feel. The hotel contains several plush seating areas on the main and atrium levels, allowing for socializing or relaxing with a cup of coffee and morning newspaper. Even the business center manages to look inviting. 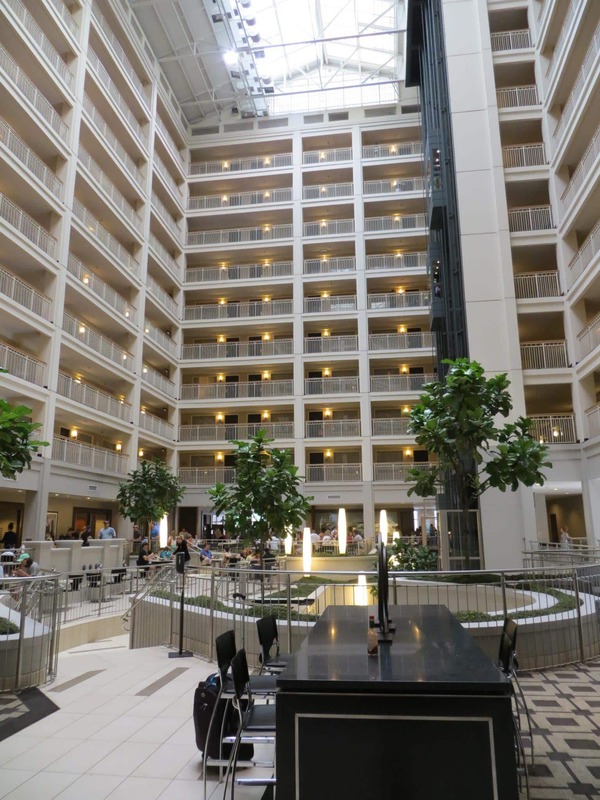 The most striking feature of the hotel is the 11-story atrium. This signature of the Embassy Suites brand fills the space with natural light. The second floor atrium area acts as the hub of the hotel. It provides an inviting, attractive place to relax. It’s also home to the pool, fitness center, and business center. Breakfast is served here in the morning and the evening reception takes place here as well. 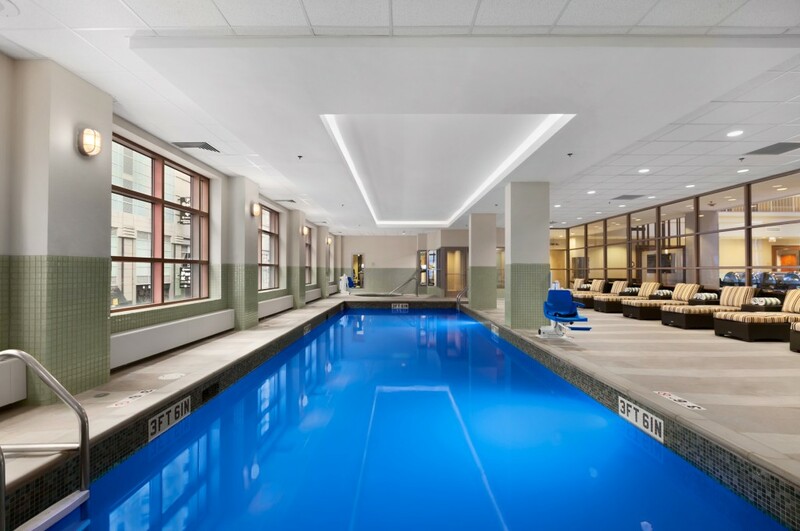 The heated indoor pool at Embassy Suites Chicago is an ideal place for families to unwind at the end of a busy day of city sightseeing. Parents will appreciate the on-site concierge, who will happily help with plans, directions, ticket purchases and more. 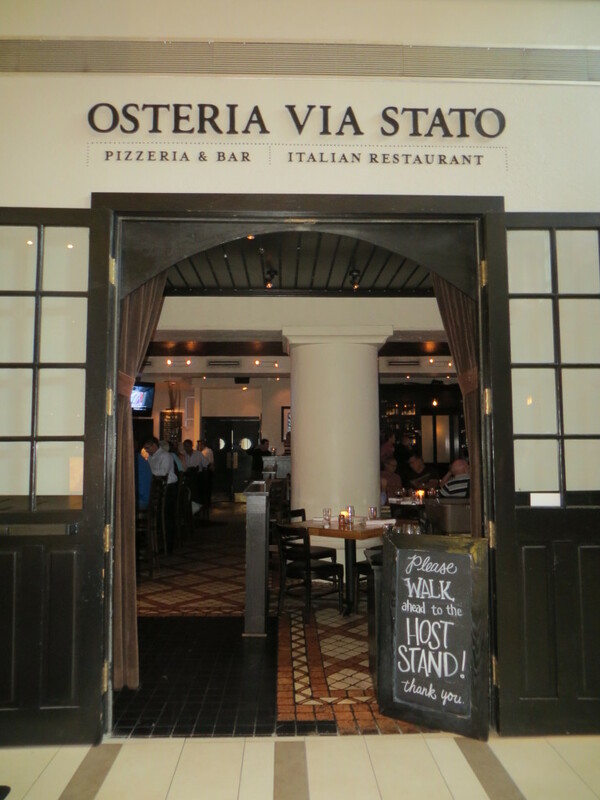 My daughter and I enjoyed delicious plates of pasta at the on-site Italian restaurant, Osteria Via Stato, which has both a prix-fixe and an a la carte menu including chicchetti (small plates) which are perfect for anyone whose appetite isn’t so big. I have been known to select a hotel based on distance to the nearest Starbucks. Anyone who shares my coffee obsession will be pleased to know that there’s a Starbucks on-site at Embassy Suites Chicago. 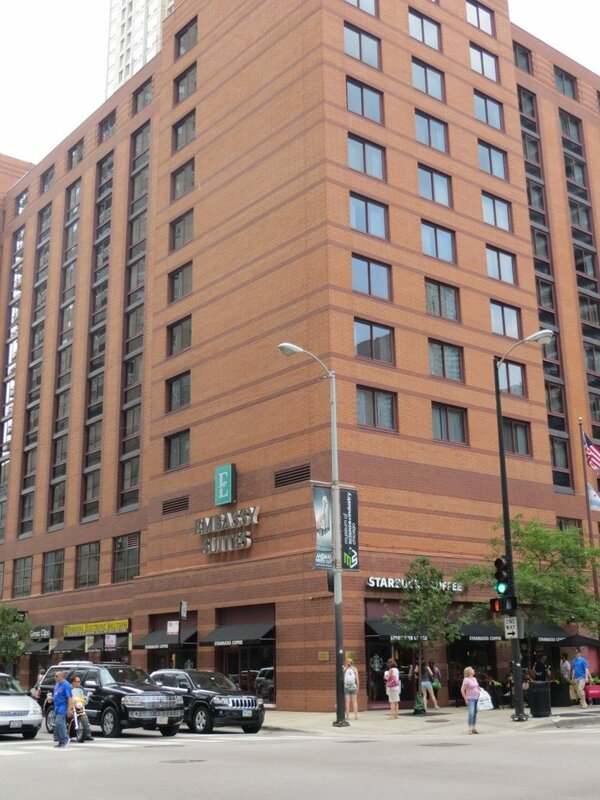 The Embassy Suites gives superb value to families visiting Chicago. 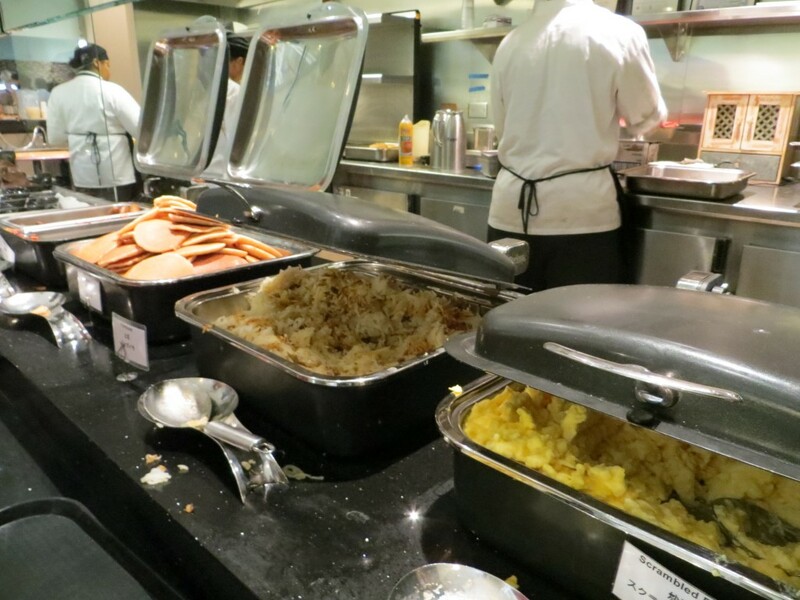 In addition to the fantastic location and the roomy suites, there’s a cooked-to-order/buffet breakfast as well as an evening reception with appetizers and drinks (alcoholic and non-alcoholic). What’s more, all of this is included in the room rates. These go a long way in stretching a family’s travel budget. This summer, Embassy Suites pledged to help families get 300 percent more enjoyment out of every summer getaway with special giveaways at select hotels on designated “More” days in June, July and August. As part of this pledge, Embassy Suites also partnered with travel expert Samantha Brown to provide both family travel tips and destination guides for the top 10 family travel spots. Additionally, Embassy Suites announced a partnership with the Association of Children’s Museums to provide even more value for traveling families. 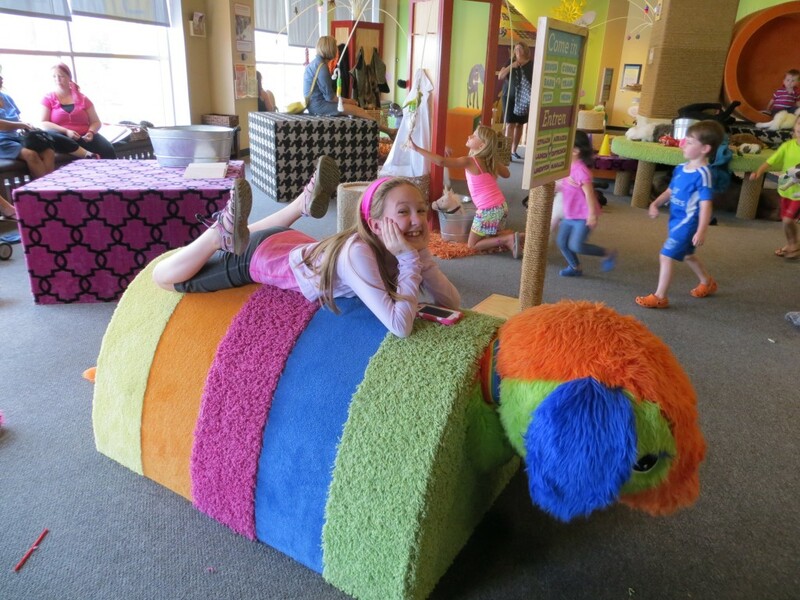 Guests receive VIP privileges at local children’s museums on More Days as well as an opportunity to win free admission. 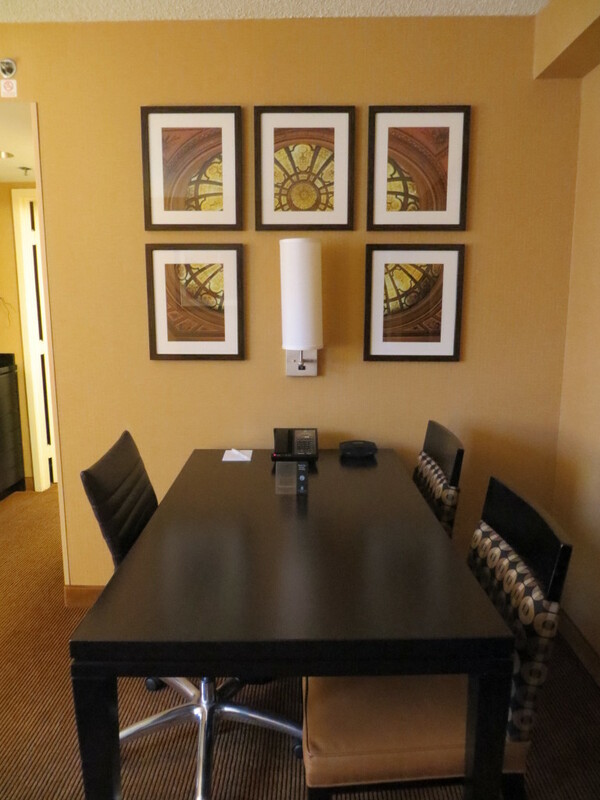 Embassy Suites Chicago – Downtown seems to truly want families to enjoy staying at their hotels. They strive to provide the extra value that helps make travel a little more affordable. What Travel Mama wouldn’t love that? Which hotel features are most important when you book a family vacation? Let us know in the comments below! 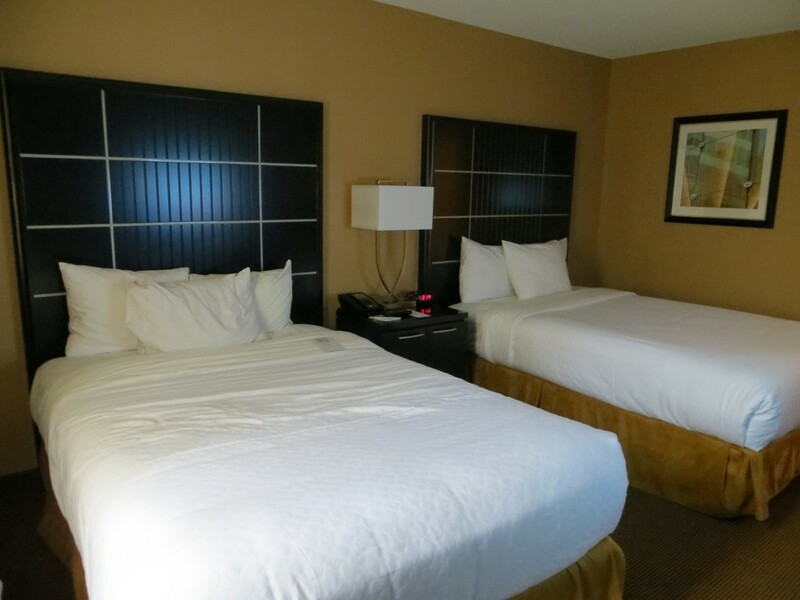 A Note from The Spunky Travel Mama: Thanks to Embassy Suites Chicago for hosting our stay. Opinions are my own, as always.